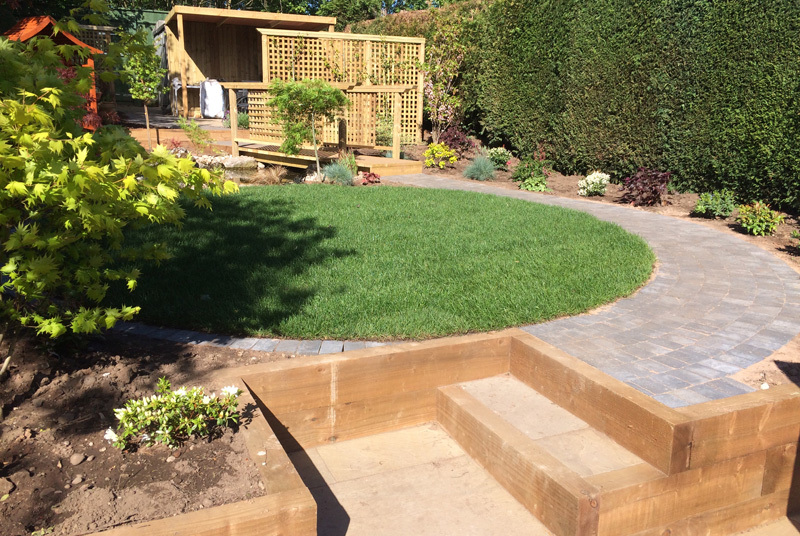 This garden was neglected and un-loved, the client wanted a complete transformation, a modern, yet tranquil and relaxing area that flowed with the garden's natural incline. 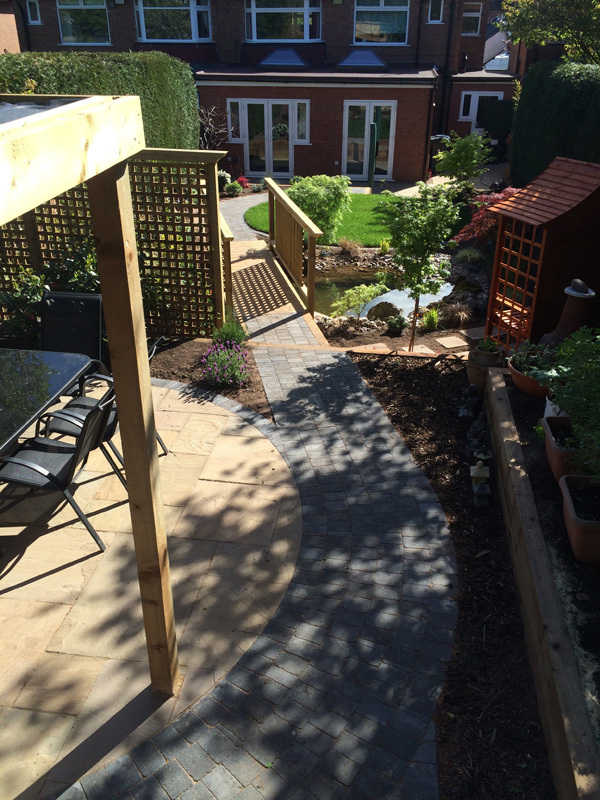 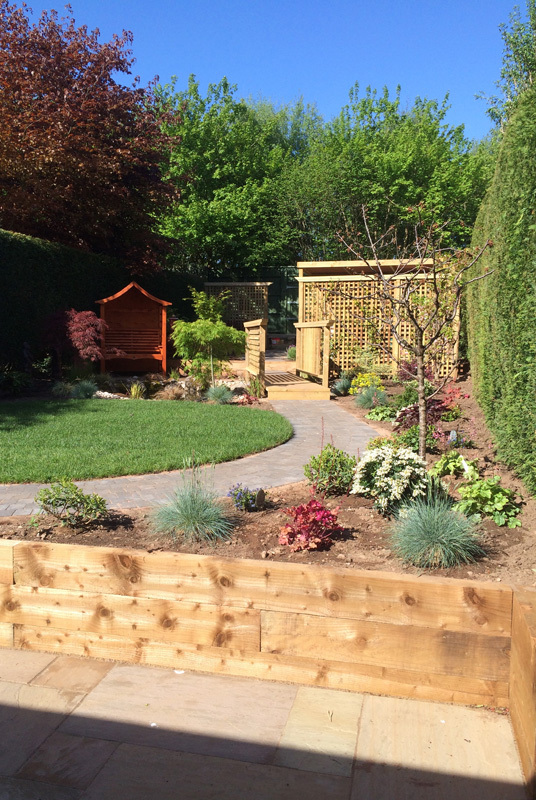 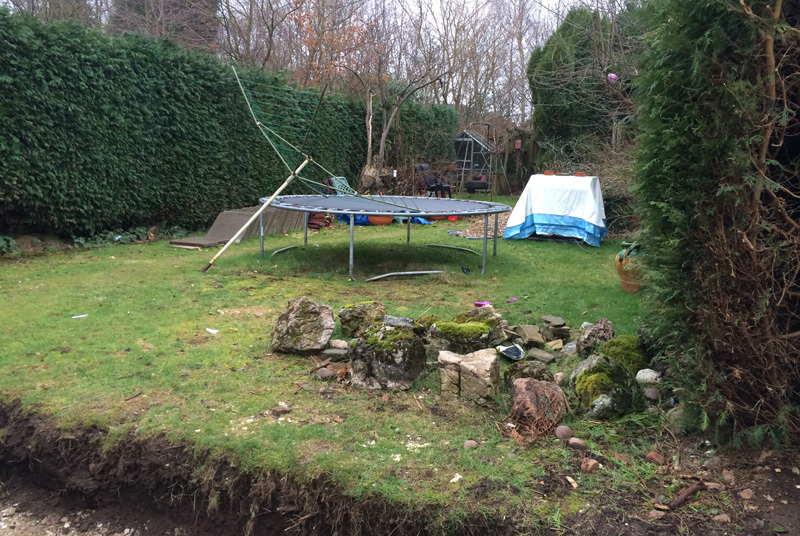 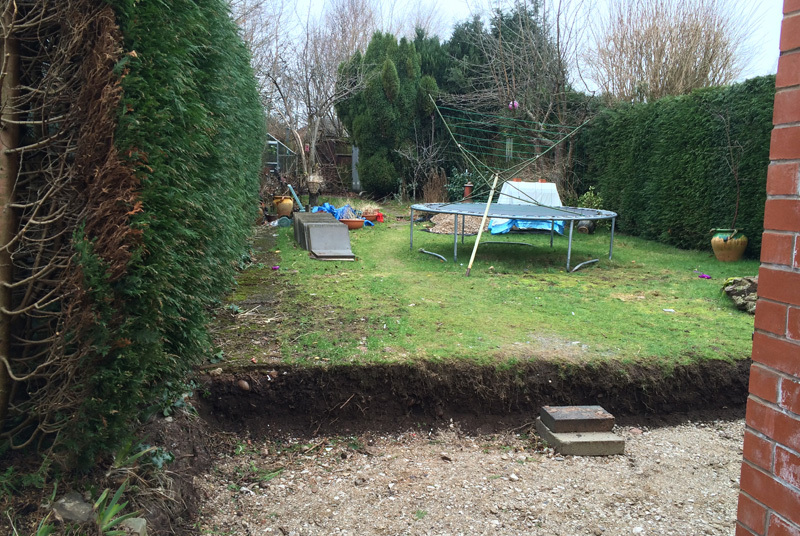 Style Earth listened to the different aspects that the client wanted to incorporate and set to work sectioning different zoned areas within the garden. 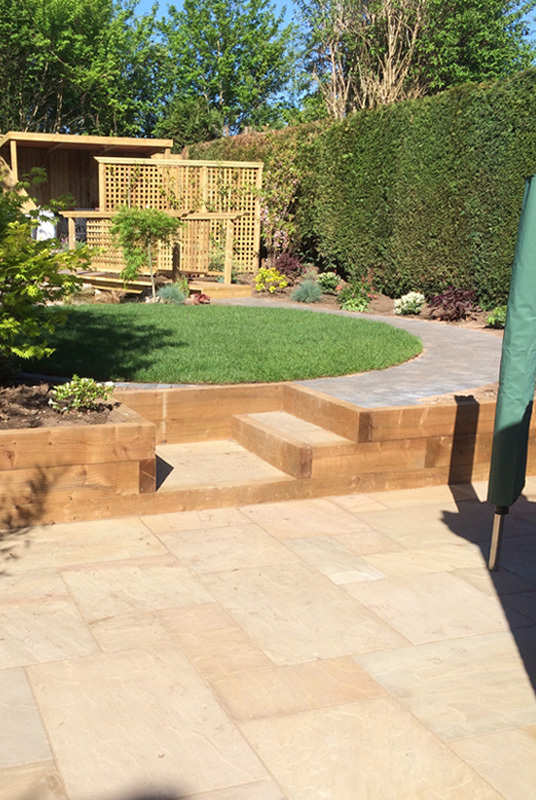 A patio area with sleeper steps and a rounded lawned area were added. 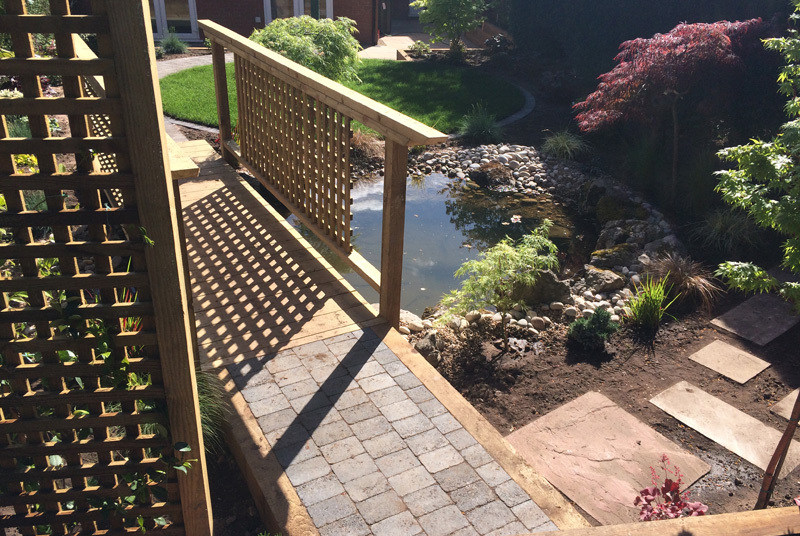 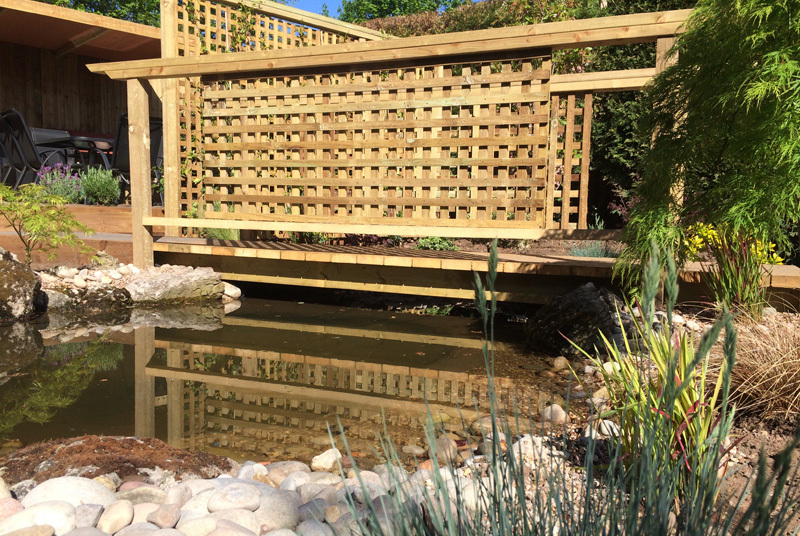 The curved pathway leads to a wooden bridge over a pond, and a screened entertaining area with outdoor kitchen ideal for relaxing or entertaining on a summer's evening.